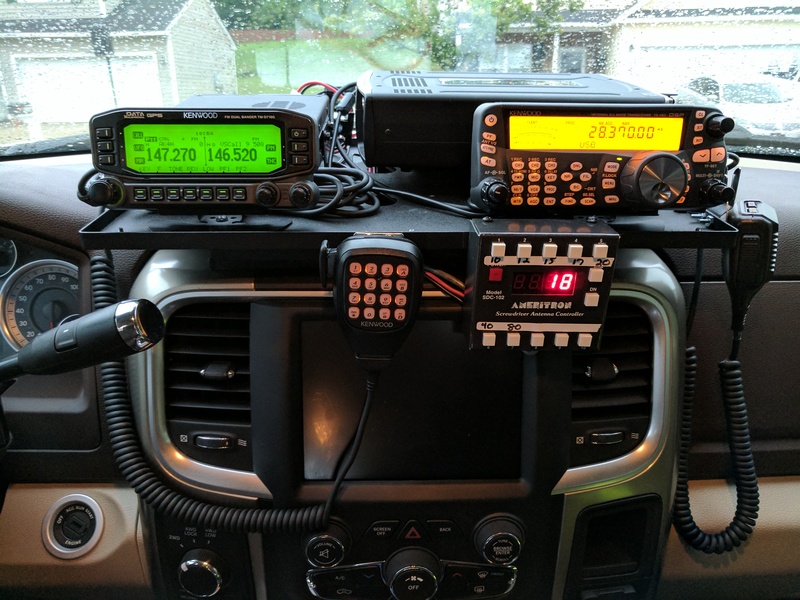 Kenwood TM-D710G for VHF/UHF and the Kenwood TS-480SAT in my truck with the SDC-102 Antenna Controller for HF operations. 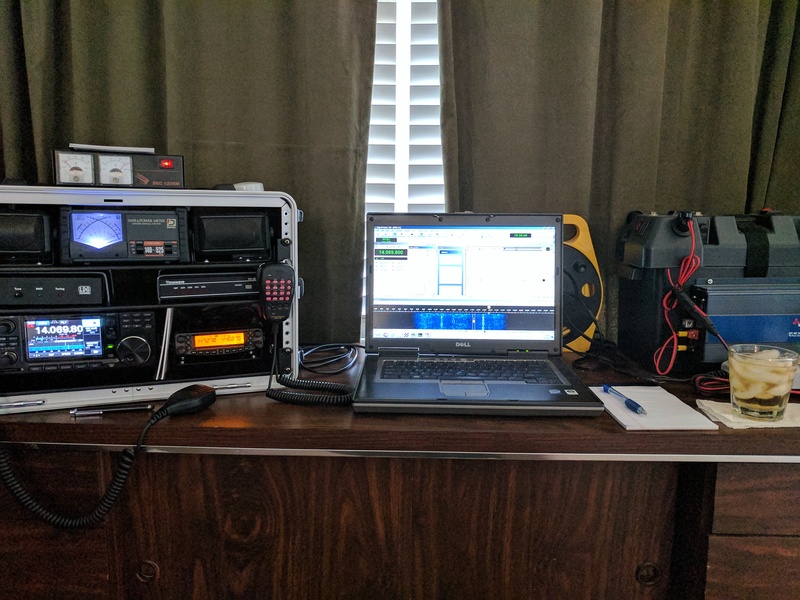 My gear in the office. 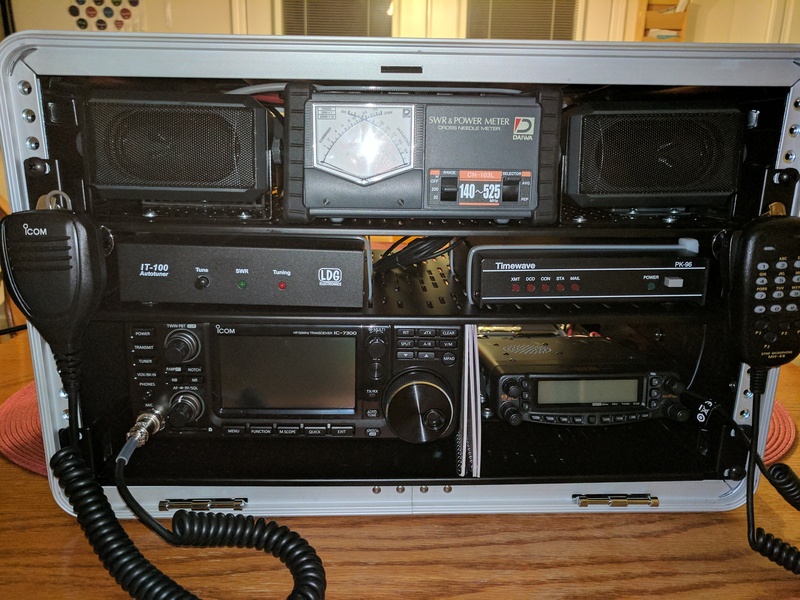 Custom built GoBox with IC-7300 and a Yaesu 8800. Front view of my truck showing my antennas. 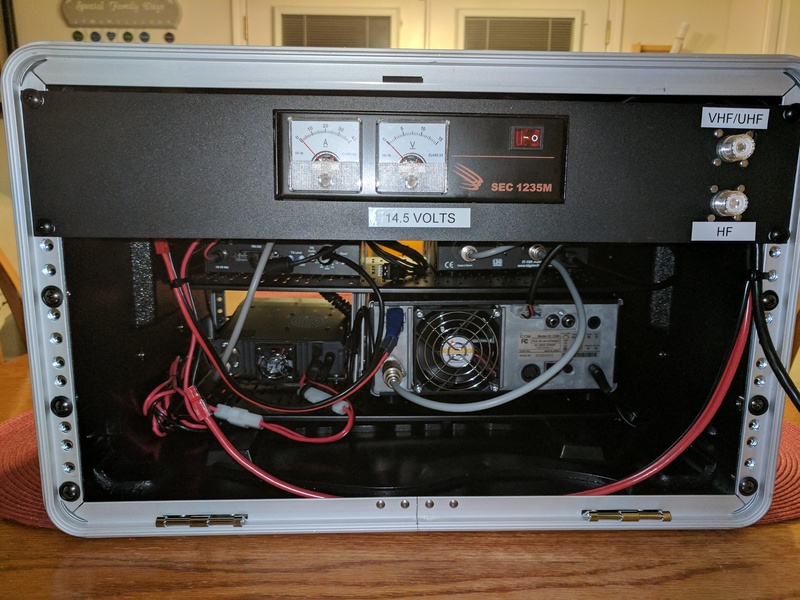 Side view of my Tarheel 100A HP antenna. View of my Tarheel 100A HP antenna. 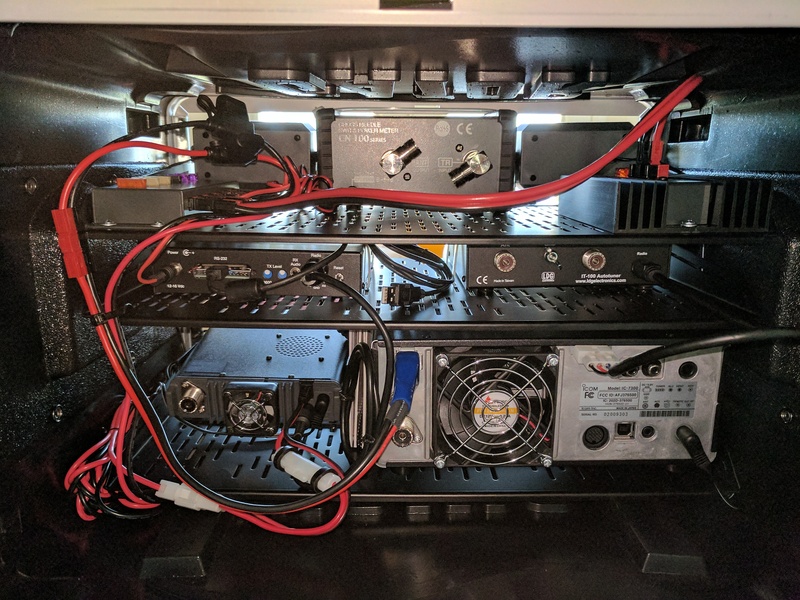 Front view of the custom GoBox I built. 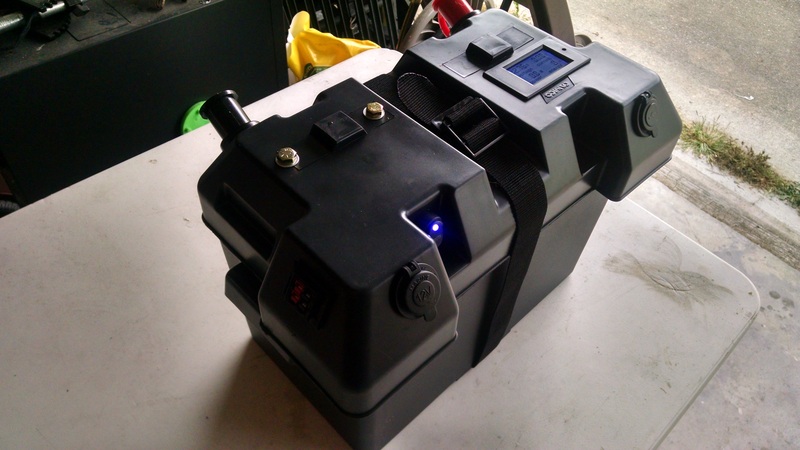 Rear view of the GoBox. Picture of the RigRunner 4005H. 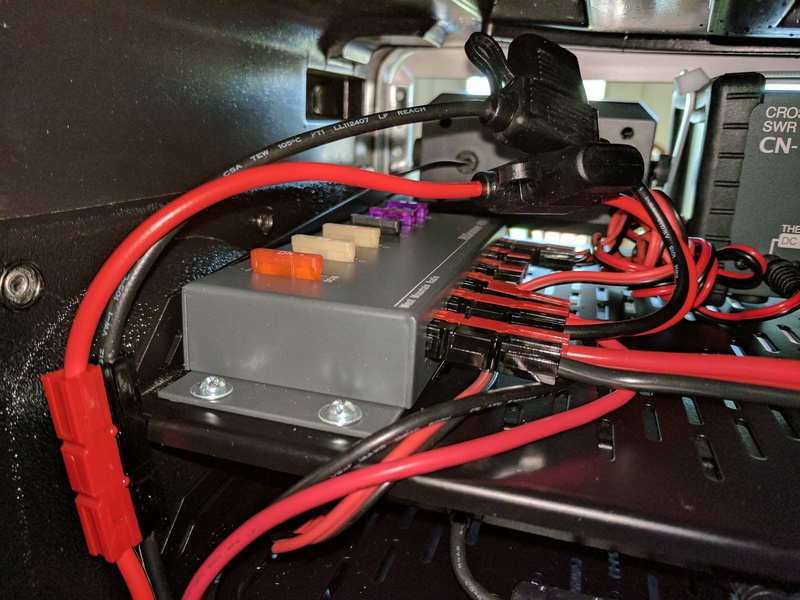 The PWRGate allows both AC and DC to be connected and auto switches to DC if AC is lost. 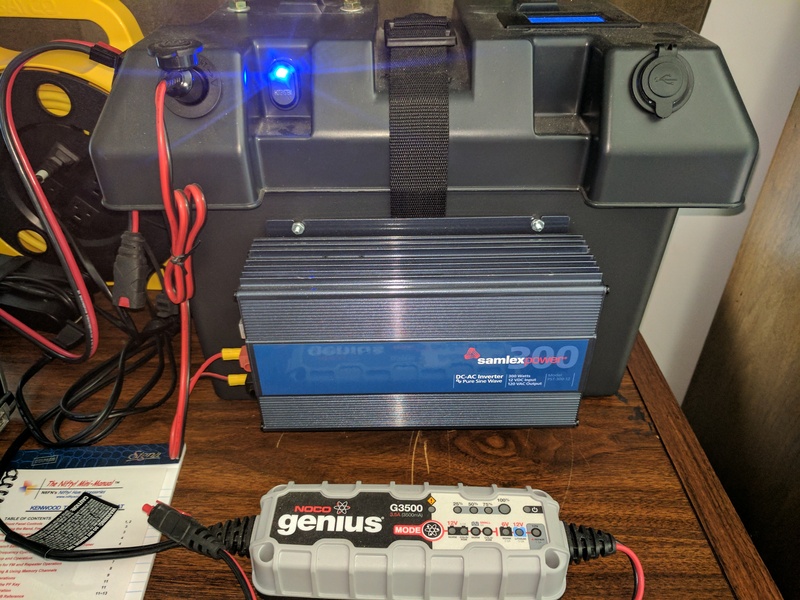 Also charges the battery when AC is connected. 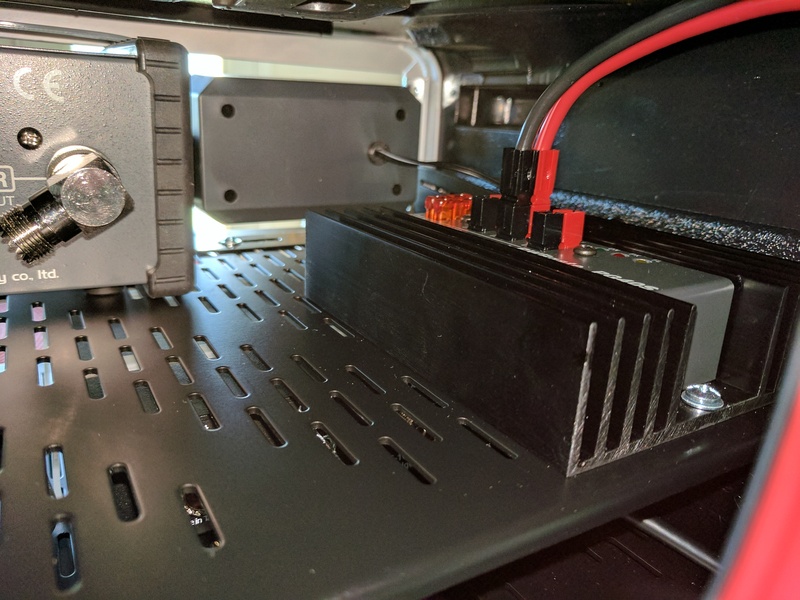 Rear view before I added the coax and power connections. 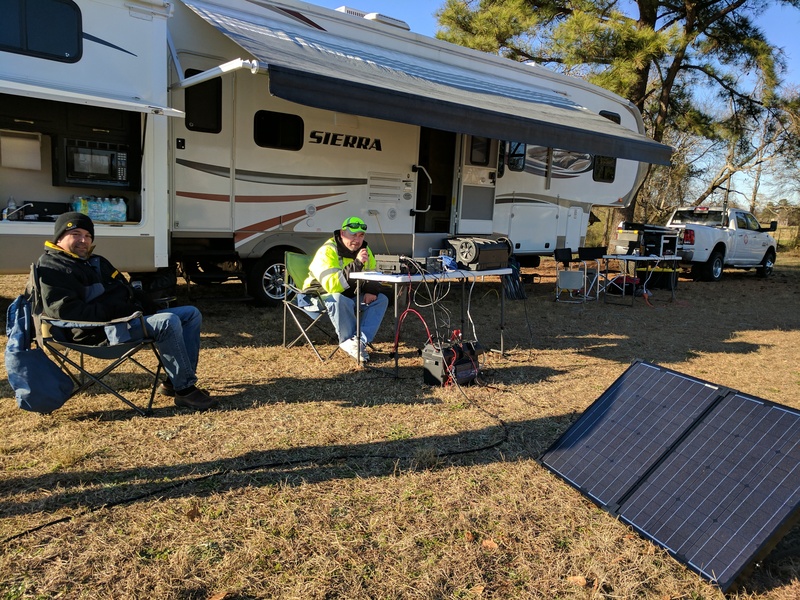 Winter Field Day 2017. 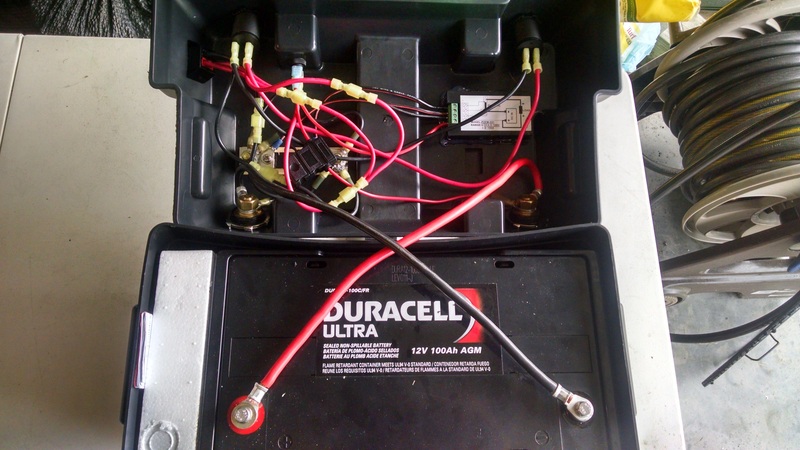 Was using a Yaesu FT-897D connected to my battery box and solar panels. 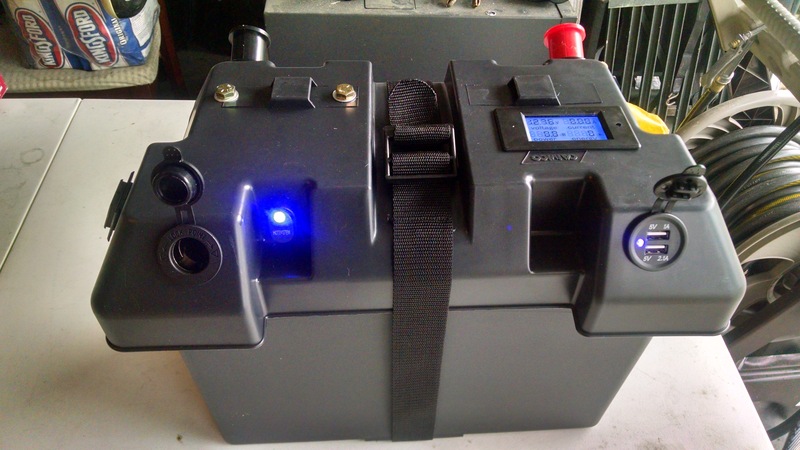 Battery box with the Samlex 300 Watt Pure Sine Wave Inverter.